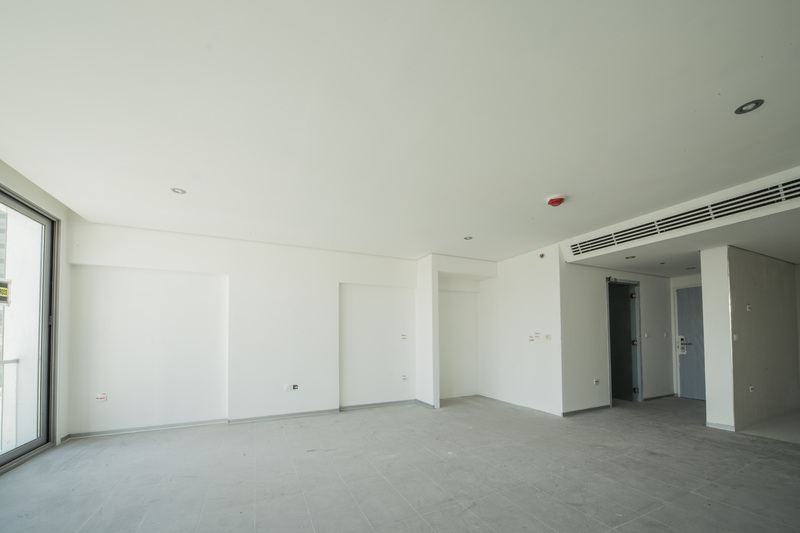 Gyproc’s high performance linings and ceilings have hit the mark for one of Dubai’s newest high rise apartment complexes, currently under construction on Plot C007-009 in Dubai’s TECOM investment area. 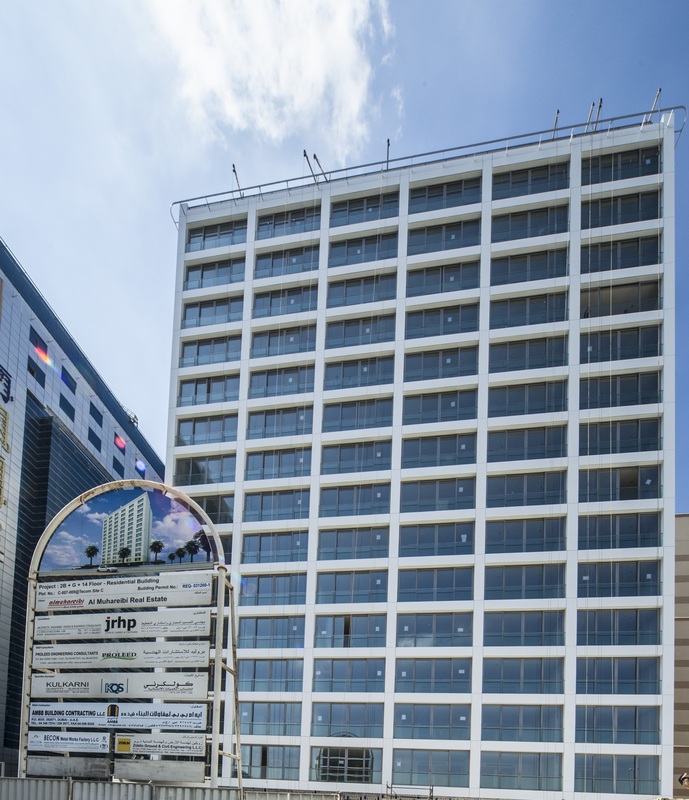 Architects, Proleed, specified the Gyproc systems to meet demanding acoustic, fire and durability standards at the new 17-storey building, which will provide 108 studio flats and 4 two-bed penthouse apartments spread across the top fourteen floors, with a ground floor lobby level and double level basement below providing secure parking for residents. To meet the high standards of safety and comfort specified by client, Al Muhareibi Real Estate, the architects had to provide high acoustic performance of Rw55dB between apartments, in conjunction with at least 60 minutes fire resistance to protect the structure and allow safe evacuation for upper floor residents in the case of fire. To maintain the pristine finish to walls, particularly in high traffic common areas, the client also wanted a high level of impact resistance to shrug of damage from accidental knocks and scrapes. Working closely with the architects, Gyproc’s technical team put forward a specification based on GypWall QUIET, a high performance twin frame acoustic partition, in conjunction with Gyproc MF ceilings. Although the GypWall QUIET partitions provided the highest level of impact resistance, BS 5234 ‘Severe Duty’, an outer layer of 16mm Gyproc Duraline impact resistant board was substituted in key areas to provide an additional level of protection. The Gyproc systems provide an ideal alternative to more traditional masonry construction in this application, as their light weight and dry construction means the components are easier to handle and install in tighter spaces, faster to complete, without the drying delays associated with blockwork, and the finished construction is generally narrower than equivalent blockwork, maximising room space for residents. Their lighter weight also impacts on the overall weight of the building and can reduce the amount of structural strengthening and foundation required. With a total estimated value in excess of AED 420,000, the Gyproc systems are being installed on site by Dubai-based contractor, Intex International, with the Gyproc Technical Department providing on-site support and guidance to ensure that the high standards of performance required can be achieved throughout the complex.